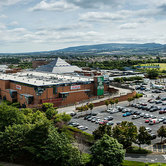 Click here to search for Property Listings in Dublin. According to Daft.ie's 2018 Wealth Report, the number of homeowners in Ireland whose property is worth €1m or more - making them "property millionaires" - has surpassed 5,000. The total number of property millionaires now stands at 5,305, a change of 452 or 9% since June of this year. Residential rents rose nationwide by an average of 11.3% in the year to September 2018. 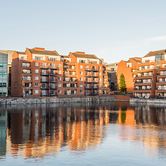 This represents the tenth consecutive quarter in which a new all-time high for rents has been set and also in which annual inflation in rents has been greater than 10%. 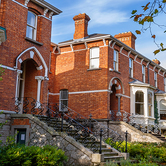 According to the latest House Price Report by property website, Daft.ie, Ireland home prices nationally rose by 1.3% in the third quarter of 2018. The average price nationwide between June and September 2018 was €257,000, 6.6% higher than a year ago. According to Irish property portal Daft.ie, home buyers in Ireland are paying up to 32% more for a property with a sea-view. 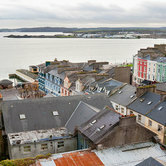 The research, conducted by economist Ronan Lyons, analyzed over half a million property listings. The value of homes at number 13 are typically €4,700 ($5,500.00 USD) cheaper than the average Irish property of €254,000 ($296,000) avg. house price nationwide based on Q2 2018 Daft.ie House Price Report. 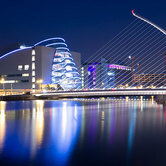 According to Irish property portal Daft.ie, home prices nationally rose by 2.7% during the second quarter of 2018. 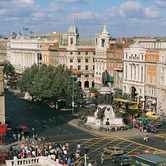 The average price nationwide during the second quarter was €254,000, 5.6% higher than a year ago. According to the 2018 Daft.ie Wealth Report, the number of homeowners in Ireland whose property is worth €1m or more - making them "property millionaires" - has surpassed 4,500. 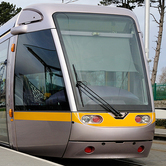 According to new research from Daft.ie, residential rents for properties close to Ireland's light-rail DART train stations and Luas stops rose by 3% to an average of €1,770 per month in the first three months of 2018. 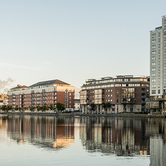 According to the latest Ireland House Price Report released this week by property website Daft.ie, Ireland home prices nationally rose by 2.5% during the first three months of 2018. According to Ireland property website Daft.ie, searches for properties that qualify for the new government-backed mortgages surged by over 9% last week following the Government announcement of the scheme. 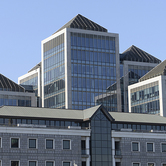 According to global real estae consultant JLL, €2.3 billion ($2.8 billion USD) of Irish investment property traded during the year 2017. According to the latest House Price Report released today by Ireland property portal Daft.ie, home prices across Ireland nationally rose by more than €20,000 ($24000 USD) on average during 2017. According to Ireland property portal Daft.ie, three-bed homes in Ireland near the new Luas cross-city stops saw their values increase by 15% over the last year, compared to a 6% increase in similar homes near other rail stations. The market with the most expensive premium office rent in the world is Central in Hong Kong (€323 per sq. ft) followed by New York's Midtown ($194 per sq. ft). 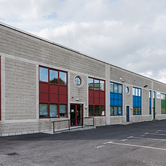 According to JLL, industrial lease deals in Ireland during Q3, 2017 totaled 407,904 sq. ft across 33 deals. This is a decrease of 42% in the quarter, and a 55% decrease compared to Q3 2016. 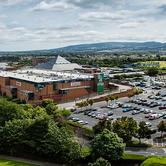 According to JLL, over $1.5 billion of Irish commercial properties have traded so far in 2017. While this is lower than 2016, last year was an exceptional year. Over €770 million of Irish property was traded in the first 6 months of 2017. Although this is down from H1 2016, last year was an exceptional year. According to the latest quarterly Rental Price Report by Ireland property website Daft.ie, residential rents in Ireland rose nationwide by an average of 13.4% in the year to March 2017.